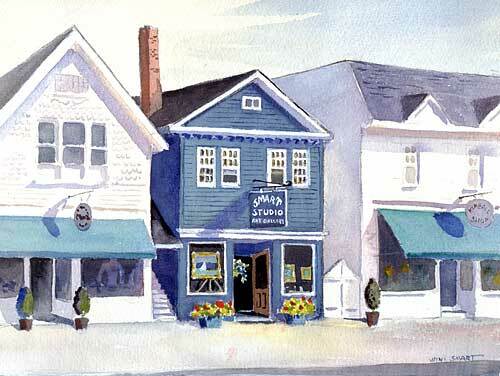 The studio gallery is on Main Street, in the center of town, with showrooms on two floors. Antiques, jewelry and custom framing are available as well. Featured are paintings and limited edition prints by both Wini Smart and Gail Cleveland. Other exhibits include photographs, mosaics, and painted furniture. 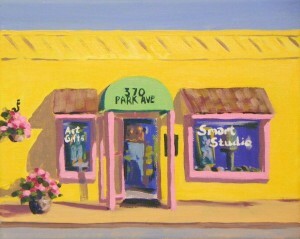 The Smart Studio Maine location is open June-October. Come visit and experience the artwork firsthand. Get Directions. The Smart Studio Florida Gallery opened in 1981, celebrating its 33rd season in the heart of Boca Grande, Florida. Easily recognized by the bright lime green awnings on a sunflower yellow building, the gallery has convenient entrances on both Park and West Railroad Avenues. Two of the six showrooms display original paintings by award-winning artists Gail Cleveland and Wini Smart. The other rooms showcase their limited edition prints, tastefully arranged with furniture and other decorative home accents. The gallery is open November-May. Antiques, jewelry and custom framing are also available. Al Rollings, a featured wood carver, cleverly uses driftwood to create his shore birds. His sculptures are featured in metal and wood. 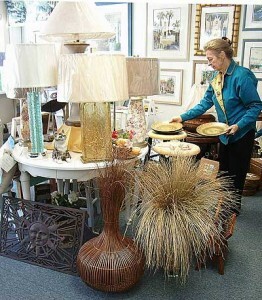 The shop abounds with original gifts and decorative items to make a house a home. 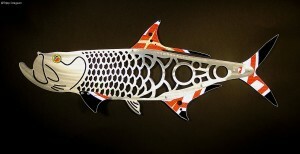 Wini Smart and her friendly staff visit several International Buyers’ Markets each year to find these artistic gifts. Get Directions. Smart Studio Celebrates 50 Years!